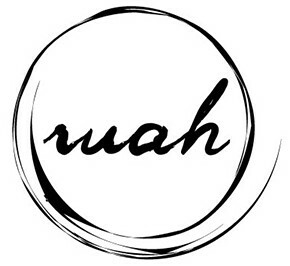 Start taking classes at Ruah Yoga Studio and other studios! Ruah Yoga Studio is a place to find yourself, or lose yourself, but to be yourself. If you live in or around Annapolis, or you're just passing through, they have a space for you. The offer Hot Power to Yin classes and everything in between. See their class descriptions to find the right class for you. The Ruah Yoga Studio is located at Clock Tower Place at 1410 Forest Drive, Suite 9 in Annapolis, MD 21403. Laurine’s classes are well thought out stretching all of your opposing muscle groups. I always leave feeling like I have really done something great for my body and mind! Great class, and even better teacher!! I would absolutely recommend this class for guys just starting their practice as well as those with experience. Cathy was a fantastic teacher and was great with modifications. She also had an amazing music selection. Looking forward to taking more classes with her! Amazing class for this time of day. All the stress of my work day gone... Great balance between challenging enough and not too challenging. Will take it again. A little chilly when the ac kicks on but other than that it was lovely, the space and Di were great! This class is advertised as an "all levels" class but unless you have an advanced skill level you will struggle to keep up. Very little guidance from the instructor.